Buying and selling wine are a business based on two main traditions: it’s a fun game of selling sheer plank and mediocre wine to consumers who know nothing about wine but buys it because it’s expensive. Then again, the wine market has been an exclusivist business for centuries, and the price for wine is usually dogged by the supply and demand principle. Nowadays, we’re talking about an incredibly successful affair and believe it or not, the fine wine market goes through a boom in spite of a pretty harsh economic crisis. Before 2008, Californian cult wines such as Screaming Eagle Cabernet, were selling for incredible amounts (hundreds of dollar for one bottle), and the red Burgundies (Romanee-Conti) were often sold for thousands. The people who bought these wines back in the day had no intention of drinking them though. Because of the recession in 2008, the wine market went through a rough patch, and its only way to salvation was to open a Chinese market and start marketing fine wine again. Generally speaking, the sales went extremely well, and the most prestigious wines (mostly Burgundies and Bordeaux) were sold at auctions to the most famous Chinese millionaires for really decent money. Between 2011 and 2012 the wine market oscillated, and surprisingly last year US sales hit a new record of 360 million for 9 cases of wine and their value was estimated at $34.6 billion. According to recent comments, the wine market will undergo a growth of 22% by the Christmas of 2014. Premier Cru Fine Wine Investment made the allegation, a renowned company who experienced a growth of 15% since November 2012. Co-founder Stacey Golding says that, in spite of the current rises in price, still there’s a fantastic opportunity for wine investors to make profits and reap long-term benefits. The current economic turmoil in Cyprus has made investors realize that money is no longer safe in banks. Given that situation, Premier Cru is anticipating a boost of 10% by December, and they expect the wine market to grow by 22%. It shouldn’t surprise anyone that the fine market is somehow different from other investment types, and for a while it looked like the most common laws of economics didn’t apply. 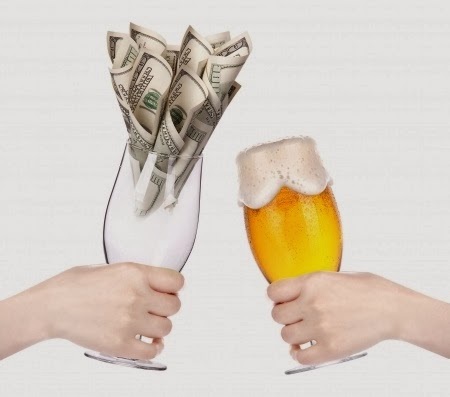 In reality, fine wine is an alternative type of investment, and to some extent it has to be indirectly affected by the performances of other financial markets. Equity markets, particularly in developed countries, have suffered in the past few months. Conventional equity market indices in Japan and the U.S. have risen by 20% so far. Considering the high returns availability, interest inevitably shifts away from unconventional investment markets. Many wine investors are paying close attention to particular drivers of the market, and they’re not that interested in mass investment trends. There’s some logic to their methods because wine is considered a special type of investment, although it can’t be considered totally immune from predictable influences. Specialists are linking China to lack of greater liveliness in the wine market. An imposing wine festival known as ProWein opened its first satellite exhibition in China this past November. The general vibe of the whole event was dull and murky. The gloomy ambiance brought along unfavorable conditions: high existing fine wine stocks, poor sales for Bordeaux en-primeur, slow Chinese economic growth and exceptionally low purchases of expensive wines. And still, in spite of those bad conditions, 570 exhibitors came to do business and that happened because China is an essential piece of the puzzle in the wine market. The best way to make wine investment level-up in 2014 is to answer yourself this question: are you looking to invest for pleasure, or you’re just doing it for the money? It is possible to have them both, but it’s essential that you get informed and understand the business really well prior to starting to spend lots of money on wine. The golden rules of wine investments are simple: start slow, buy moderate, have patience, and always expect for things to go bad. It’s certainly not a smart idea to get your hopes too high because the fine-wine market is just as volatile as any other market.